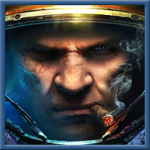 This is a forum dedicated to the continued development of a Starcraft II Mod, and is not a general gaming community. If your post is unpleasant to the eye, you will be banned for it. - Frequent single-word posts (spamming). - Walls of text or incomprehensible formatting. - Hard selling other games. - Derailing or degrading the quality of a thread. - Content that would drastically increase Starcraft II's ESRB rating. - Large images in your signature. This is not meant to be a list of all things that will get you banned. As a general rule of thumb, if you wouldn't do it in real life, don't do it on the forums.